The KFC guest experience survey allows KFC customers to provide their feedback about KFC customer service and store experience in exchange for a coupon for a free menu item or a discount on popular items. This survey report aims to walk you through the process of completing the KFC guest experience survey. You will also find relevant information such as the eligibility requirements, the survey rewards, and other helpful facts about leaving feedback for KFC through their online survey. To participate in the KFC survey, all of the following need to be true. All participants have to be legal residents of the U.S.
You do not work for KFC. None of your household or immediate family works for KFC. You have a recent KFC receipt with a survey invitation. Refer to your receipt to determine when the survey invitation expires. The reward for completing the KFC customer satisfaction survey varies. Check your receipt for details about the current survey prize. You can generally expect to earn either a free menu item or a significant single-use discount at KFC. Common examples of the KFC survey prize are free chicken tenders, a free drink or a buy-one-get-one-free offer. Also, completing the KFC guest experience survey will help KFC create a better experience in their restaurants for you and their other customers. Go to the KFC website for surveys to begin. Answer questions about the experience you had at KFC. You’ll get a few questions about the customer service you encountered, the cleanliness of the KFC location, and the quality of your food. Click “Continue” after each question. When prompted with the opportunity to fill in your own answer rather than select from a list of choices, you can choose to provide KFC with more detailed information about how they can improve the guest experience at their restaurants. You won’t be required to provide this extra information, but it is your chance to deliver valuable suggestions to the KFC team. If you select more negative answers than positive ones, you may be asked to fill in additional, specific information about your visit. At the end of the survey, you’ll be given a coupon code that you can use to redeem your offer. Write this code down or screenshot it using your phone before leaving the survey website. Bring the code with you next time you visit KFC to enjoy a free menu item or a discount. Usually, KFC receipt codes are usable for up to 30 days before expiring. Look for a date printed on your receipt to verify how long your receipt code will be good for. KFC accepts survey feedback at different times of the year. If you frequent KFC, check your receipt each time for a chance to take the survey. You’re able to take the survey and redeem a code up to once a week during the time KFC runs its guest experience survey. The KFC survey will take you around 15 minutes to complete. 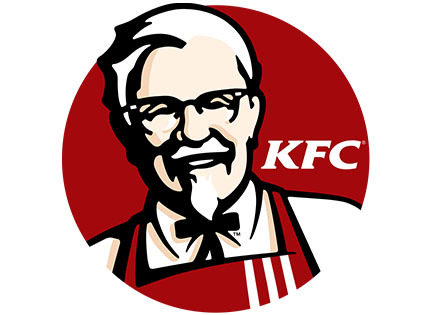 To contact KFC customer service, you can use their KFC contact form on their official website. Alternatively, call them at 1-(800)-225-5532. If you prefer reaching out to brands on social media for help or questions, KFC replies to messages quickly on their KFC Facebook account and is reasonably active on KFC Twitter page. KFC opened such an online channel so it can collect the impressions customers have while visiting one of their many locations. Once people complete the KFC survey, the company has one more clue on how to make their services better. Let us know what you think about this strategy and the survey part as well in the comments!